We have cycled from Rotterdam to Kathmandu and crossed Europe again from Istanbul on the return covering 38.000km with our Ortlieb BIKE-PACKER PLUS and SPORT-PACKER PLUS. 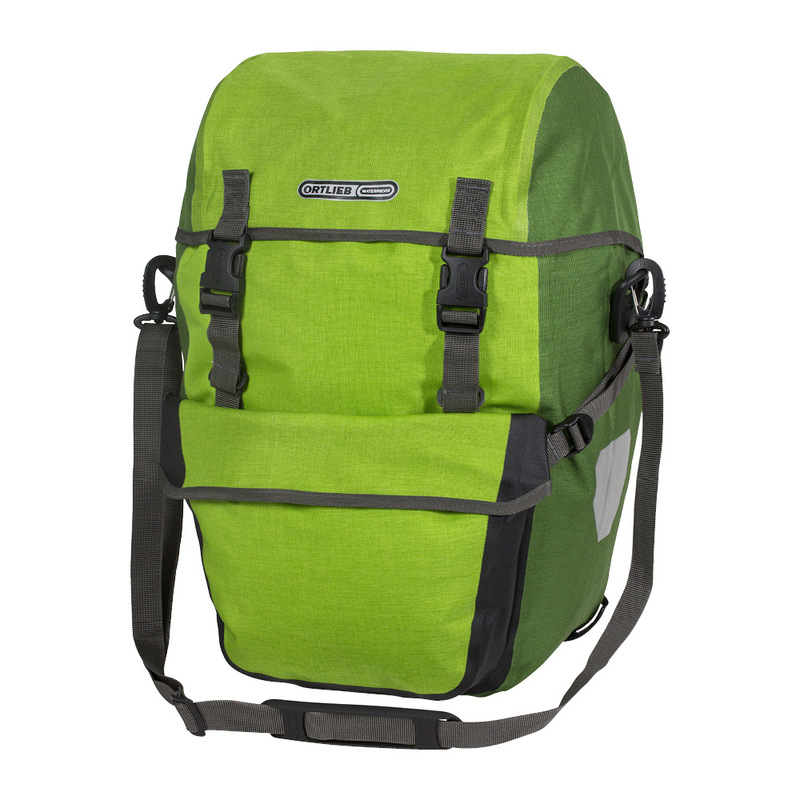 Are Ortlieb panniers the best you can get? Was this the right choice of panniers? 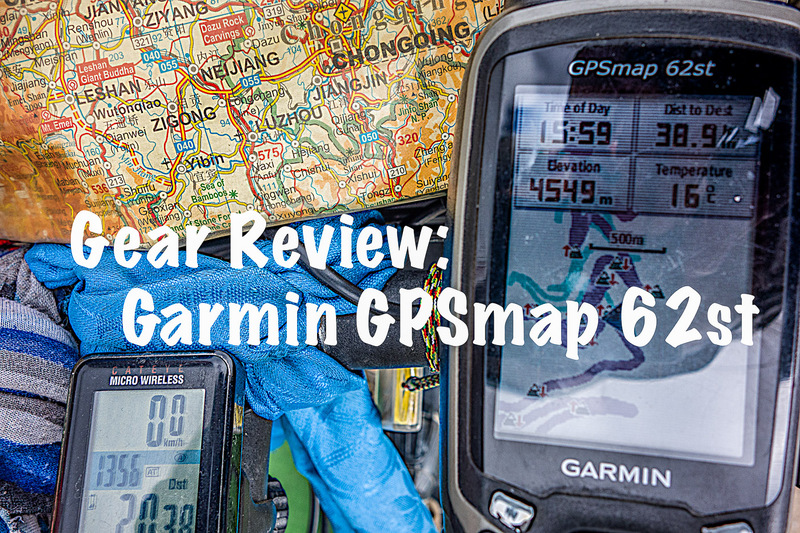 Read our review and make your own wise opinion. 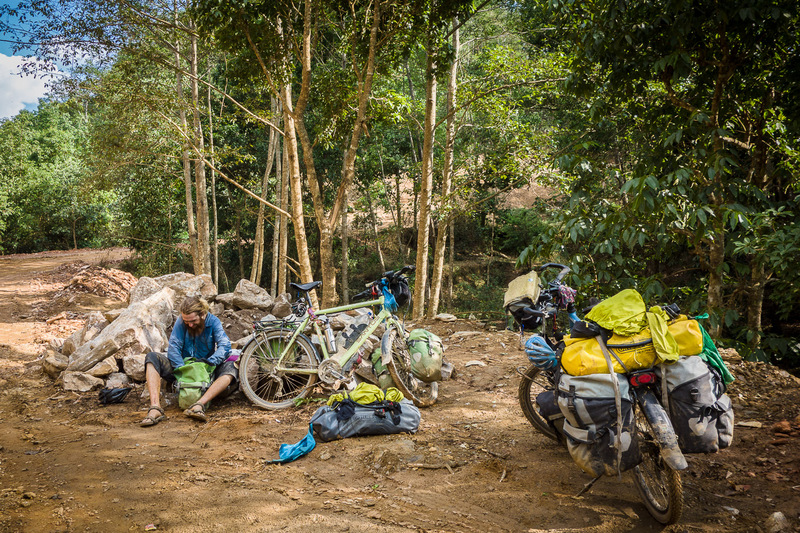 We have cycled through all sorts of terrain and weather, really giving the panniers a task for their money. Speaking of cost Ortlieb is probably one of the most expensive options on the market. As we have never used other brands we cannot compare our experiences. 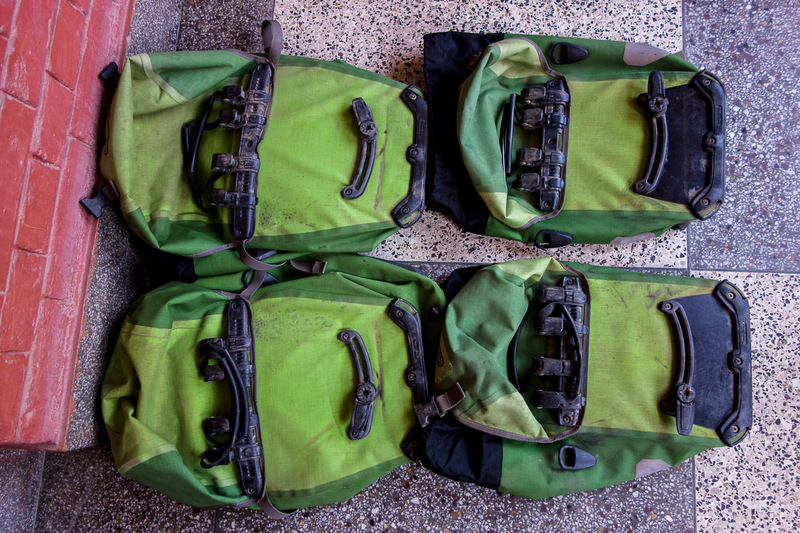 Did our Ortlieb panniers hold up the last 38,000km? Not really, read our point of view below. 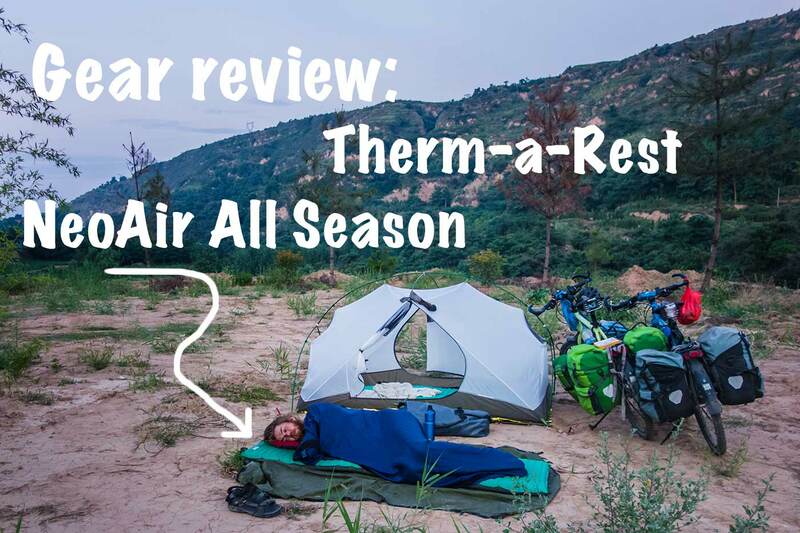 Why we went for the Ortlieb BIKE-PACKER PLUS and SPORT-PACKER PLUS. We had some experience with the classic roller and found them bulky and heavy. 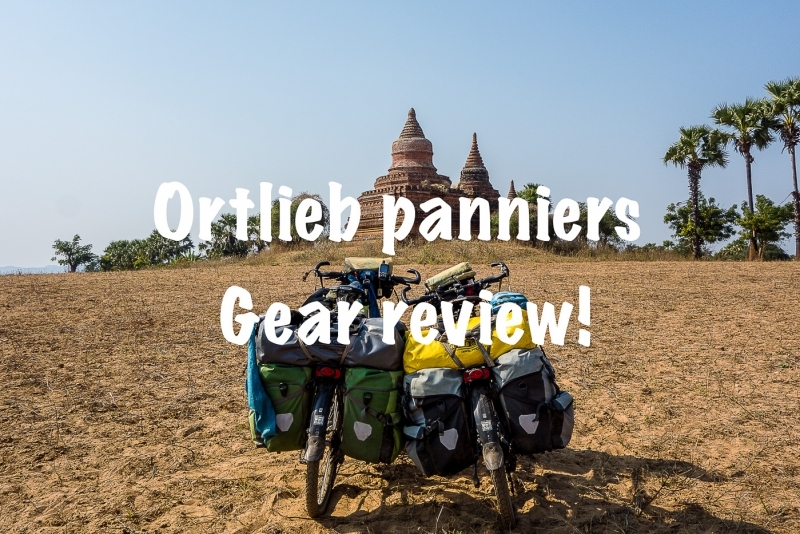 So when we found the Ortlieb BIKE-PACKER PLUS and SPORT-PACKER PLUS we fell for them. The fabric is lighter, the lid makes for easier access and the pocket for small stuff needed on the road is practical. The model also looks a bit more classy. We were advised not to worry that the fabric is thinner than the classic models, this though did prove to be an issue later on. The fabric at first seems strong and durable, this slowly changed after 15.000 to 20.000km where the fabric showed signs of wear and tear. Especially the front panniers as they are closer to the road and obstacles. We now have had to do some patching to keep them waterproof. Stitching of the inner closure had to be redone a few times the last 2 years on the road, this is manageable but a bit annoying when the Ortlieb panniers are produced for the purpose of long distance cycle touring. Martins panniers were replaced as there was to much hassel of defects, the frame of the panniers broke a few times and was replaced. When this is said Martin carries 40-45kg’s and Susanne around 35kg’s and the panniers of Susanne are still holding up. 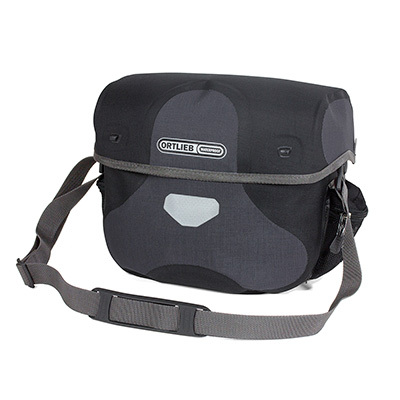 In hindsight the original materials are probably more durable and would hold up better for the kind of journey we have put our Ortlieb panniers through. The newer models have a different type of screw that seem to loosen faster than normal and has resulted in quite a few loose and lost screws over time, resulting in a loose frame. The Ortlieb panniers have the room you need for a long journey, there is no separation of the space in the panniers just one big compartment. This does make the panniers very versatile but it is also a challenge to organise. We always pack our gear separately in waterproof stuff sacks to organise and keep gear dry in all situations. It has a small pocket on the inside but is limitedly usable. The attachment to the rack is done by the hook system and this system does the job but has some limitations. When heavy loaded the frame might break off the pannier. The front panniers has a tendency to pop out of the lower hook this we prevented with a rubber band. After Martin had quite some issues with the panniers we upgraded all his 4 panniers to have four hooks instead of two. This has helped stabilizing the attachment to the racks and we never lost a pannier on a downhill again. Ortlieb has really been great and helpful! We had contact with them from Kazakhstan where they shipped us spare parts at no cost! Again in South Korea when Martins panniers were falling apart and they replaced them with no cost again! Bare in mind that we have no commercial relations with Ortlieb. Thank you Ortlieb for your help. 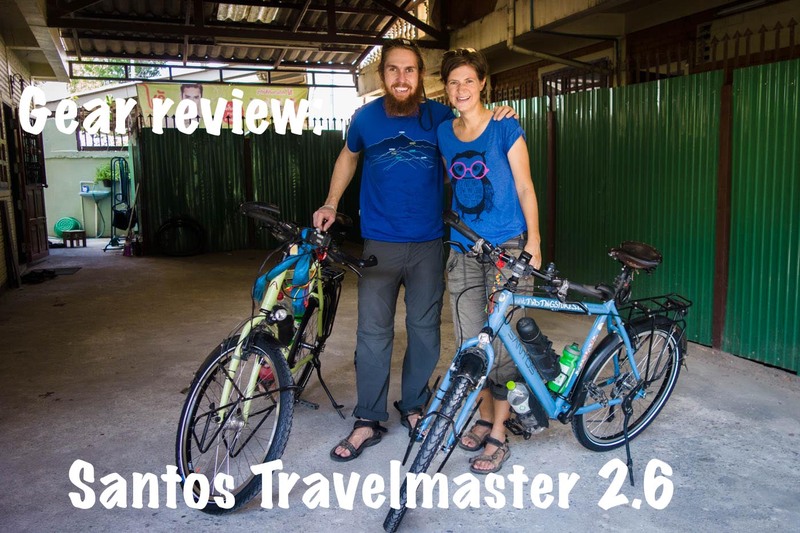 Hi, thanks for your review of the bikepacker plus bags. 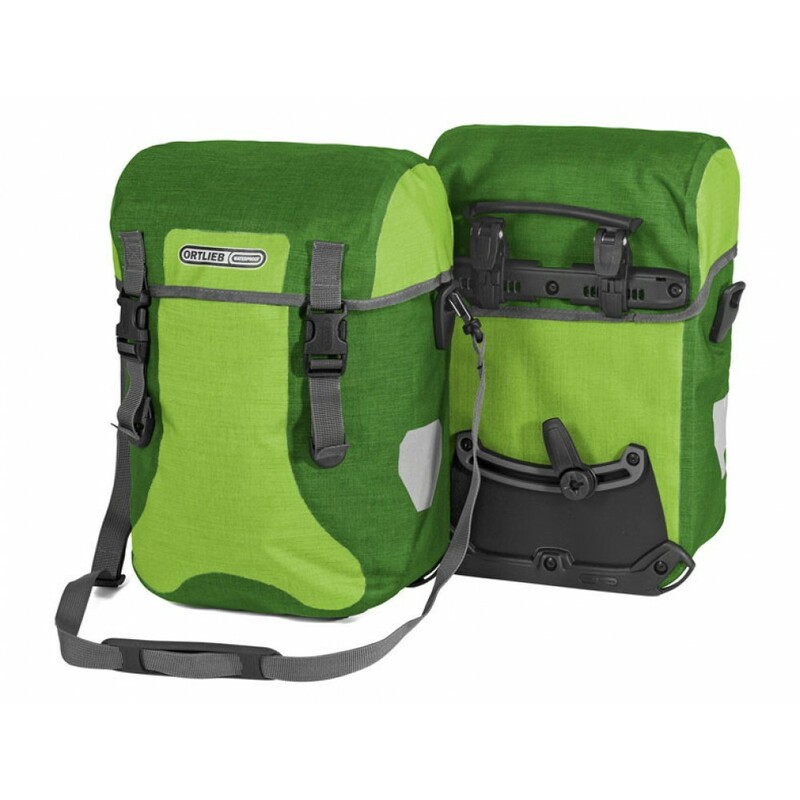 In some of your images, I can see you “appear” to use the Ortlieb Rack Pack bags to strap across the top of the rear bags…i am considering this iption as well…can you advise on whether you felt they were worth the purchase?